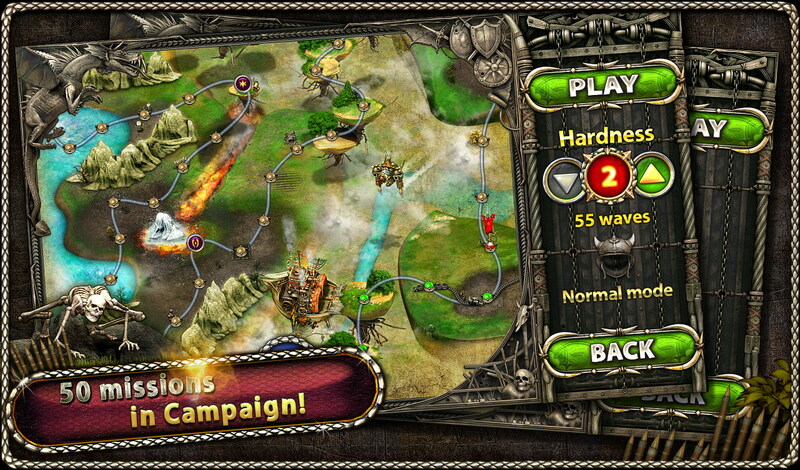 Back when Smartpix Games’ original Myth Defense tower defense game was out you played on the “good” or light side. That game became a hit for mobile devices and now a sequel is out called Myth Defense 2: Dark Forces…where you guessed it, you play the dark side! You’ll have Orcs, Goblins and Necromancers at your command building a whole variety of tricks and traps. Note that Myth Defense 2: Dark Forces is free but is essentially a demo, the full version is unlocked with a purchase of $2.49 (on sale). But that price is a good one as, Myth Defense 2: Dark Forces is shaping up to be better than its predecessor and a great tower defense game all around. There are 50 missions with two different difficulties to keep you busy with the promise of new DLC coming soon. 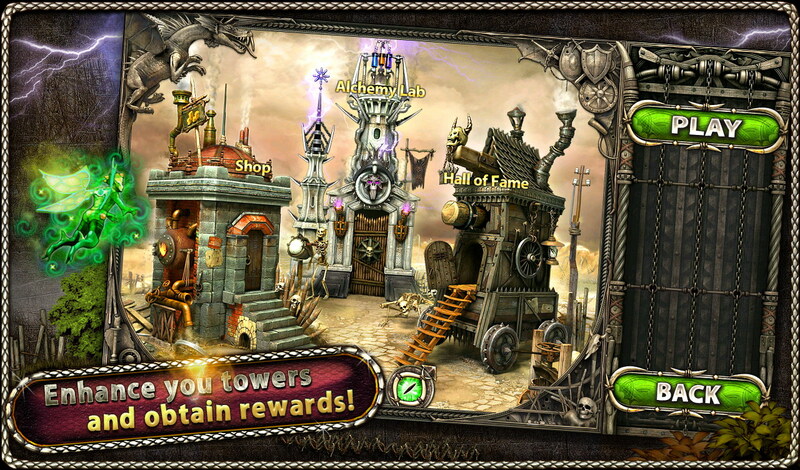 As far as actual tower defense mechanics goes, Myth Defense 2: Dark Forces ups the ante on that as well. 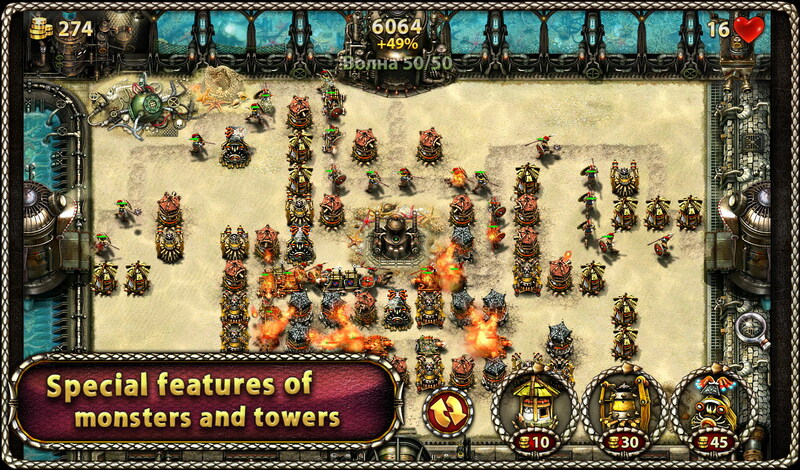 There are 22 types of towers, 3 types of traps with three different tech branches. Even more so is that you can combine various towers’ effects with landscape/terrain features. In addition there is obviously tons of different enemies and enemy difficulty to deal with. 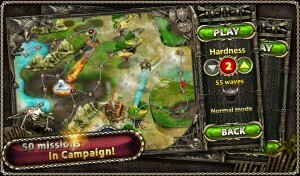 All in all, Myth Defense 2: Dark Forces is a well thought out tower defense that is well worth a shot.